Teachers assembled lessons that will include LGBT history and explore the works of writers like Willa Cather and Langston Hughes. 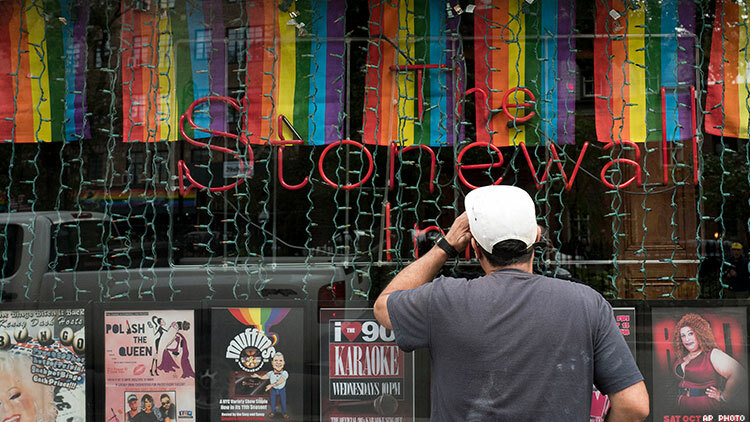 Students in Massachusetts public schools could soon learn about important LGBT milestones like Stonewall, as well as literature from the queer canon, when a proposed curriculum is put into practice, The Boston Herald reports. The new lessons, assembled by a group of teachers with Massachusetts Safe Schools, won't be mandatory but will be made available to districts. Some of the writers featured are already taught in many Massachusetts schools — like Langston Hughes, Willa Cather, Walt Whitman, and Virginia Woolf — but those texts will be taught with an emphasis on exploring their work in relation to the author's identity. Even aspects of well-worn American classics like The Great Gatsby will be filtered through an LGBT lens, with the curriculum including lessons like how Gatsby narrator Nick Carraway may have been romantically infatuated with the titular male character. The curriculum will roll out in Boston where teachers are already getting up to speed on how to incorporate it and on how to lend support to LGBT students no matter where they are in their coming out process. Part of the strategy behind the curriculum is to engage LGBT students who are often isolated and cut off from studies that erase the existence of their history. One teacher from Belmont, Kristin Comment, said she’s already begun incorporating work like Woolf’s Mrs. Dalloway and the poems of Whitman in her class to help normalize LGBT subjects for students, which can lead to less bullying and stigma. “I would like to see more discussion of LGBTQ issues in the curriculum,” Comment said. “I don’t think there is enough yet. It is really up to classroom teachers to normalize being LGBTQ in the classroom. It is not only talking about it in the curriculum but being careful in the language they use, respecting the pronouns students use or not making heterosexist assumptions."